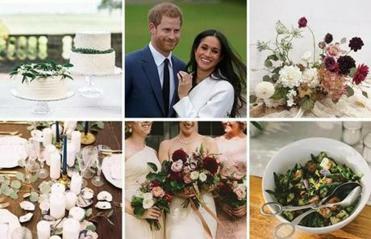 From the engagement to the favors, one New Hampshire couple keeps their wedding fun, festive, and very personal. 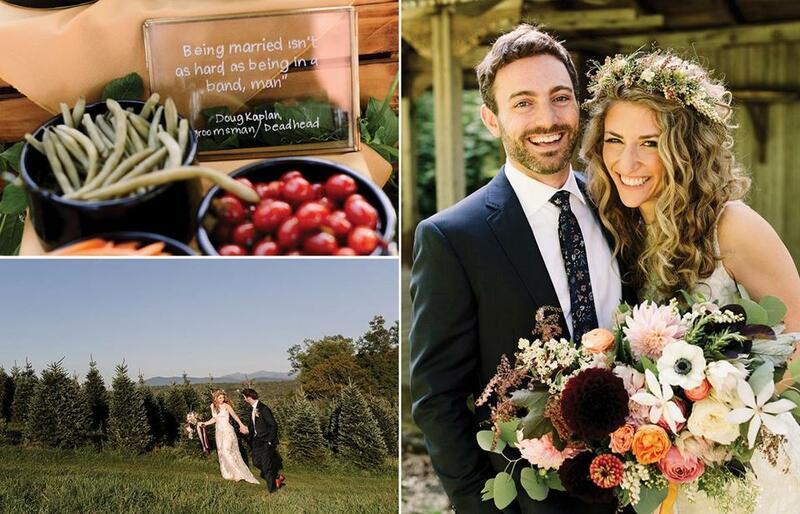 Lauren Chooljian, a radio reporter, and Matt Baer, an MBA student, got married in September on a Christmas tree farm in New Hampshire. They went to great lengths to make family and friends feel special. At each place setting was a blue envelope with a handwritten note from the couple thanking each guest for attending the wedding and explaining what it meant to have them there. “Big love” was the theme of Lauren Chooljian and Matt Baer’s nuptials. The inclusion of family, friends, and tradition began with the proposal, a surprise boat ride at Chooljian’s grandparents’ cabin on Great East Lake, on the Maine–New Hampshire border, in August 2016. Baer arranged for both families — 10 humans and one dog — to meet for the first time and greet the newly engaged couple on the shore. In planning their September 2, 2017, wedding, the couple relied on advice from family and friends. The venue was The Rocks, a 1,400-acre estate and Christmas tree farm in Bethlehem, New Hampshire, not far from Chooljian’s father’s childhood home. (“Make guests drive up 93,” he said. 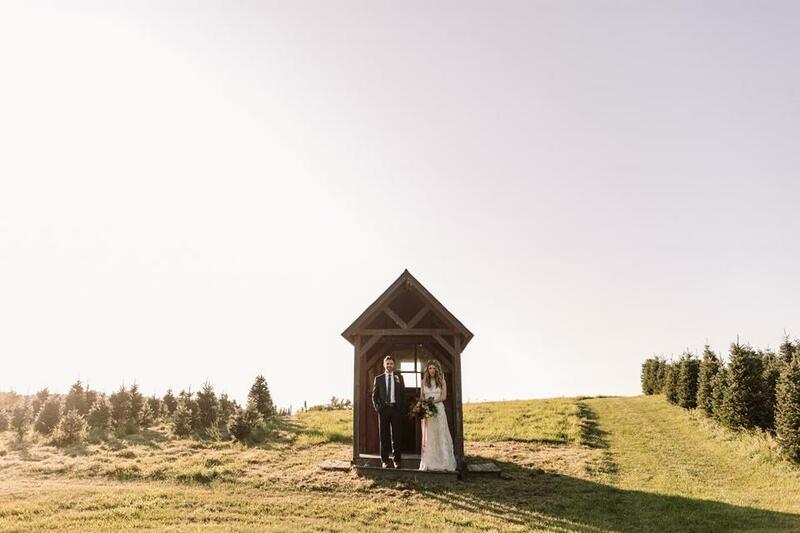 “If they’re coming all the way to New Hampshire, they have to see the White Mountains.”) Friends recommended Boston photo studio Henry + Mac and Littleton, New Hampshire, florist Emily Herzig. 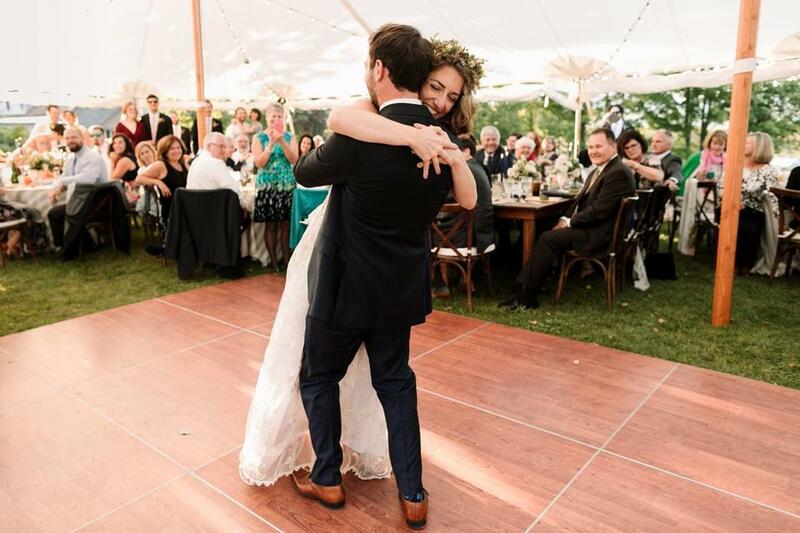 In the run-up to the wedding, the couple relocated from Chicago (where they met in August 2013) to New Hampshire, where Baer would begin studying for his MBA at Dartmouth’s Tuck School of Business the Monday after the big day. 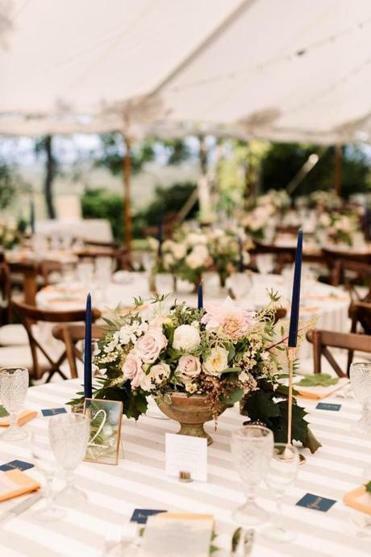 Anticipating a period of out-of-state coordination, they hired wedding planner Kate Dawson of Massachusetts-based Kate Dawson Events to bridge the gap. Meghan Markle-style rings are in, doughnuts are out, and deep, rich colors are on the rise. 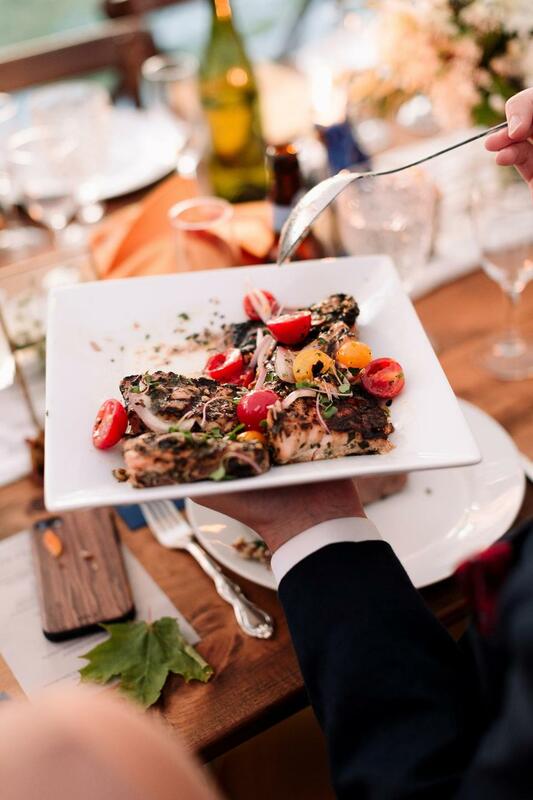 The rehearsal dinner — wood-fire baked pizza from Farm to Fire of Monroe, New Hampshire — took place in the 1,200-square-foot barn, which then became prep space for the wedding caterer, B&W Catering of Chester, Vermont. Lakes Region Tent & Event popped up a sailcloth tent and laid down a dance floor to accommodate the couple’s 140 guests. Rather than a strict color scheme, Chooljian focused on organic hues, textures, and shapes — golden yellows, blush pinks, winding ivy, ethereal oversized blooms. 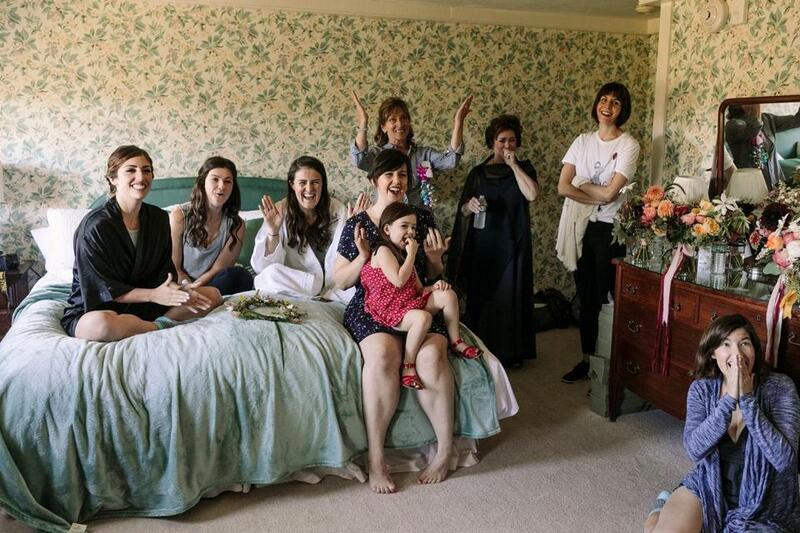 Her five bridesmaids chose their own dresses, in shades of mauve and rose. The bride wore a beaded Claire Pettibone gown with low Stuart Weitzman heels. The groom wore Ted Baker. 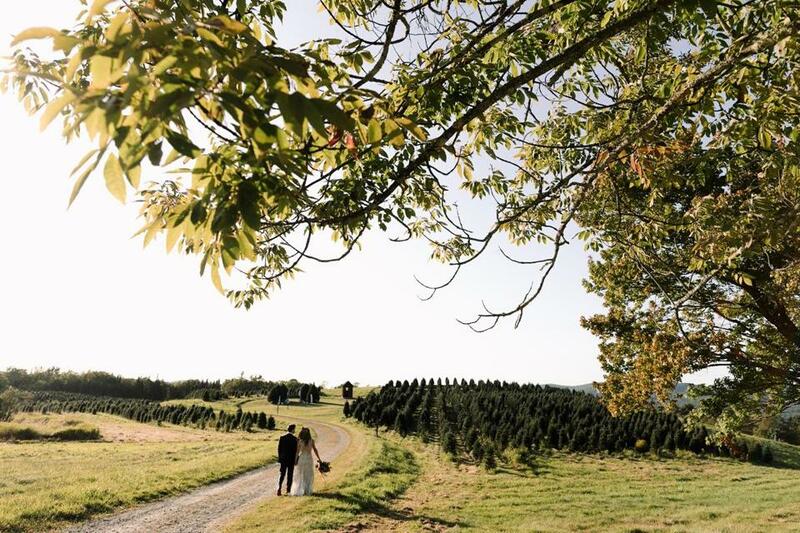 Lauren Chooljian and Matt Baer held their wedding on an estate and Christmas tree farm in Bethlehem, New Hampshire, not far from Chooljian’s father’s childhood home. For dinner, the couple took inspiration from their favorite Chicago eateries, borrowing the concept of using recycled green wine bottles as water carafes from Lula Cafe and yellow napkins from Longman & Eagle. The bottles started as a scavenging DIY project and became an Amazon purchase (“taking labels off wine bottles is hell,” jokes Baer). Brass candlesticks were a lucky Craigslist find. The menu for the family-style dinner took cues from significant moments in the couple’s relationship: lobster rolls for the engagement weekend, the Tofutti-iced pumpkin cake Chooljian baked for Baer’s birthday their first year together, and packets of “Papaw’s popcorn,” her grandfather’s recipe. Favors were jars of cold-packed garlic-and-dill pickles handmade by the groom. Tucked throughout the venue for guests to find were pieces of the “sometimes unsolicited” marriage advice Chooljian had collected since getting engaged. The sources ranged from Baer’s best friend to Chicago Mayor Rahm Emanuel — Chooljian was then a City Hall reporter for the Chicago public radio station WBEZ (she’s now a political reporter for New Hampshire Public Radio in Concord). Mennie hand-lettered the quotes and placed each one in a frame. And at each place setting was a blue envelope with a handwritten note from the couple (they split the labor) thanking each guest for attending and explaining what it meant to have them there. Chooljian wore a Claire Pettibone gown. The wedding’s theme was “big love,” with a down-to-earth, welcoming atmosphere. 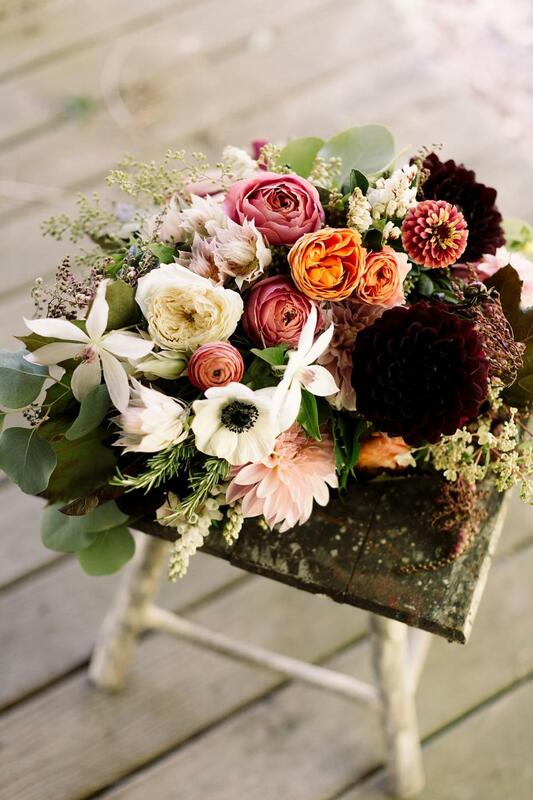 Flowers for the wedding were done by Emily Herzig. There were 140 guests at the wedding, who were enthusiastic about all the personal touches. 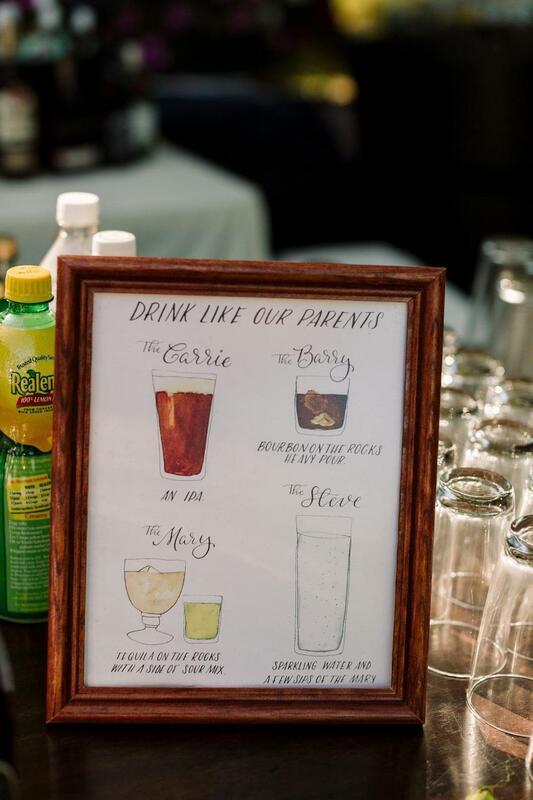 A cheeky “signature drink” menu featured the couple’s parents’ usual drink orders. 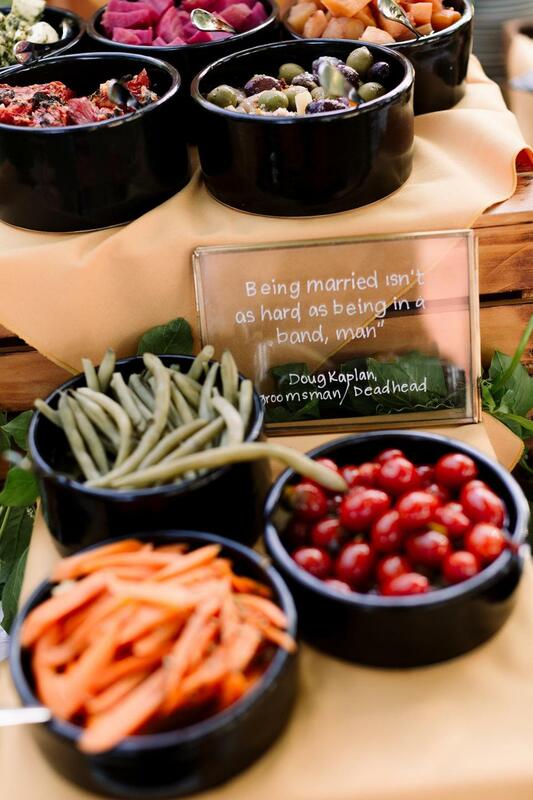 Tucked throughout the wedding venue for guests to find were pieces of the “sometimes unsolicited” marriage advice Chooljian had collected since getting engaged. The sources ranged from Baer’s best friend to Chicago Mayor Rahm Emanuel. The menu for the family-style dinner took cues from significant moments in the couple’s relationship. Advice: I was just invited via Facebook to a wedding. It’s in four days. Rachel Raczka is a Boston-based writer. Send comments to magazine@globe.com. Follow us on Twitter @BostonGlobeMag. This article has been updated to correct Lauren Chooljian’s occupation. She is a political reporter for New Hampshire Public Radio in Concord.